Hey guys! I don't have too much to say about this but.....PERFECTION. This is 2 coats. 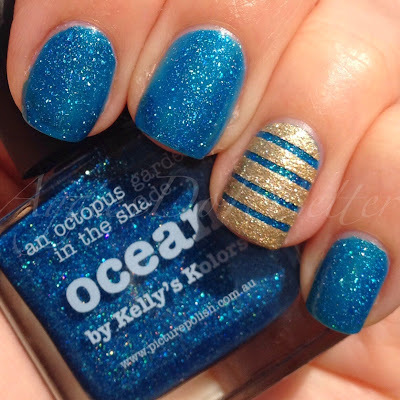 Ocean was number one on my Picture Polish wish list and it does not disappoint! It wasn't so much sunny this day so it does look a little darker than it is. But still. BE STILL MY TURQUOISE LOVING HEART. The sun peeked out for a minute so I thought I'd try a pose with out the bottle. Look! the outside of my house! ACM (Academy of Country Music) nails! March Madness textured basketball nails! Gwen for OPI: My picks, swatches, and art! Mardi gras/ Fat Tuesday Nails!